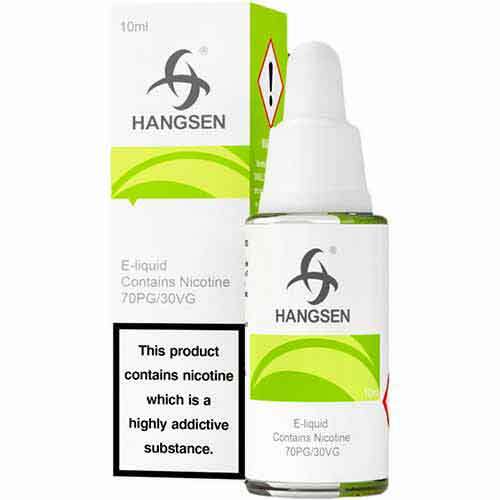 Hangsen Menthol e liquid gives you a pure and refreshing cool flavour with a punchy cool dry kick, giving you a refreshing mentholated vape that is sure to keep you away from cigarettes. This flavour is a Hangsen top 3 selling e liquid, along with Menthol Sensation, and once your try it you'll see why. Using 70%PG 30%VG this e juice will give you just the right amount of throat hit to replicate menthol tobacco cigarettes but without the nasty smell of tobacco. Love it. Very pleasant on the palate. Mmmm minty and keeps your breath fresh too! Lovin the Menthol flavour. Tried so many other brands and Hangsen beats them all for menthol. Brilliant sevice and brilliant prices.